He is B. Chandrasekhar aged 25 years old from Nizampet,TELANGANA. 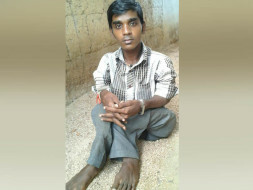 Differently abled upto 75% and a Floor Walker is in extreme poverty. After his father demise supporting three sisters and a brother, His mother being a Physically challeged too. 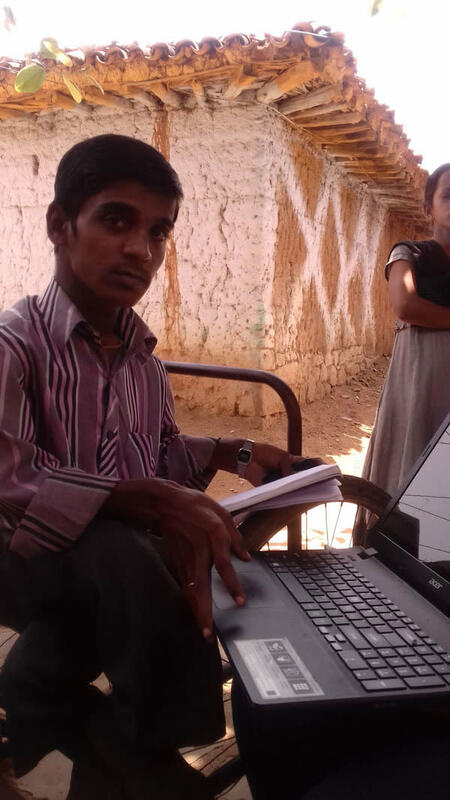 He Needs Financial Support to setup any computer related business and a Motorised Tri cycle to settle himself and help his big family. 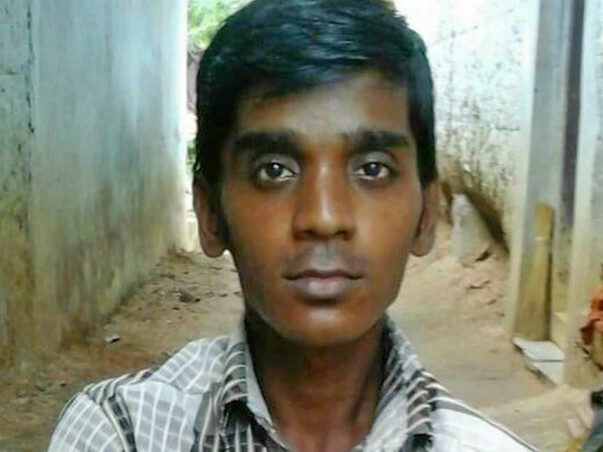 He has done intermediate and Got trained in P.G.D.C.A.from Nice computer institute Ramayampet. Computer Literacy. Your contributions will go towards fulfilling his dreams supporting his big family, Sister marriage and give him stability and security in life. Narsing Rao Bongurala is a truly inspirational person. Moving on Wheelchair started Career as a PCO (Public Telephone Booth Operator) turned to Computers by passion and Migrated from DTP to Graphic Designer & Web Development, Branding Services to Web Accessibility, Accessibility Consulting and Accessibility Auditing. Presently Working as a Tech Consultant to lot of National and International Software Companies and also supporting lot of NRI Telugu Organisations like ATA, STA, TTGA, GATeS etc. for their Web and Graphic Needs. He is a Self made man. Since 15 years worked for various Corporate Companies for their Branding, Web Design and Promotional collaterals etc. regularly. Also associated with many Business groups in Hyderabad. Supporting many NGOs like SRI SRINIVASA CHARITABLE TRUST, SHANTIKIKETAN REHABILITATION CENTER FOR SPECIAL NEEDS CHILDREN, YAMINI FOUNDATION, GLOBALAID and LEARN2LIVE FOUNDATION etc. in his own way. 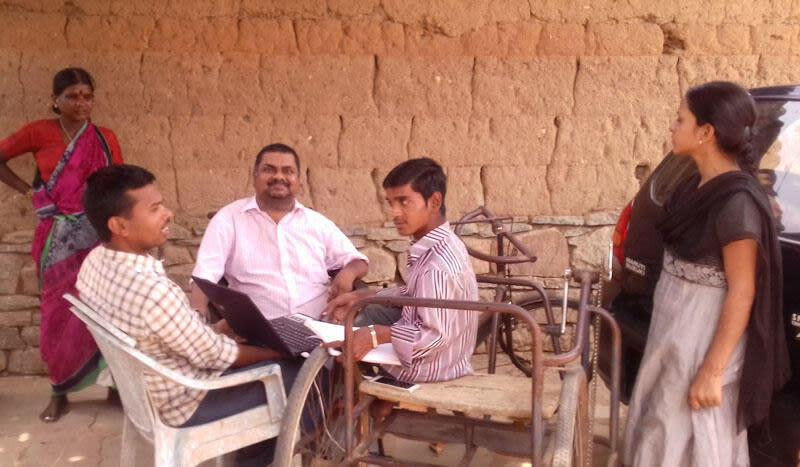 He started an NGO Organization called Wonder on Wheels (WOW) Foundation in aim to work on Right to Accessibility for Persons with Disabilities, Skill Enhancement for Underprivileged and Differently Abled, Accessibility Consulting etc. He trained a lot of budding web designers on latest web tools free of cost. 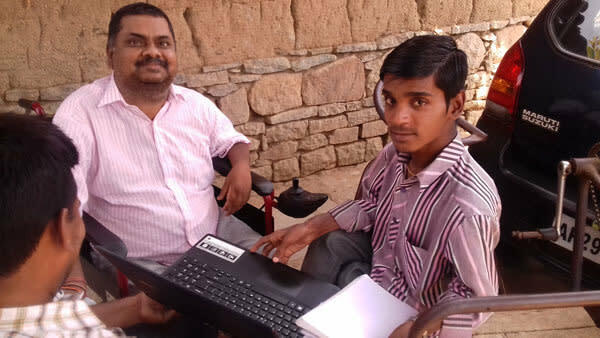 His ambition is to help the poor and downtrodden people in the society and want to motivate those people who consider disability is the end in life. A big thanks to all the donors, who are supporting our GiveAfuture campaign. 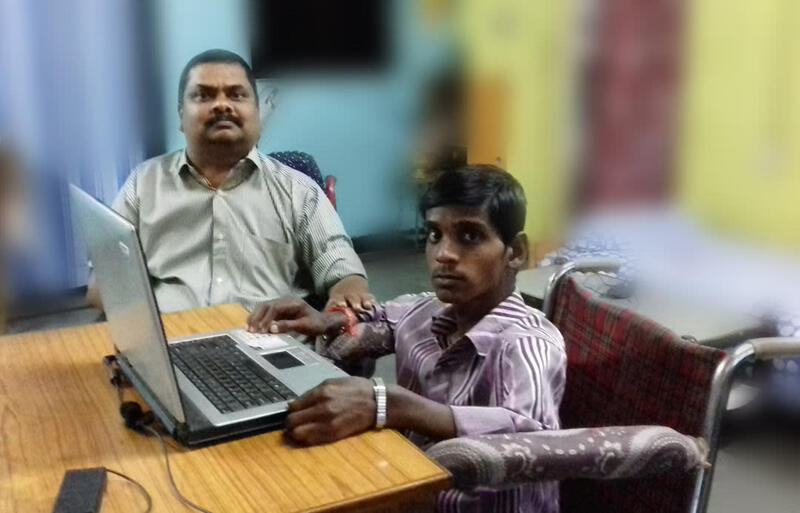 Very happy to inform you that Chandrasekhar is being trained on some more new Computer tools and make him self sustainable to establish a Computer Centre. He has cleared some debts with the funded money. We travelled around 300 Kms. to train him. As you know we already provided him with a laptop and Internet connection earlier. We are giving online Support too. Please help this campaign hit the target amount soon. A big thanks to all the donors, who supported our GiveAfuture campaign. 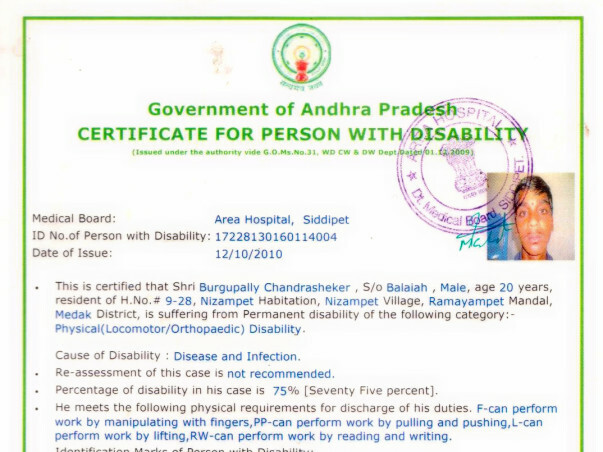 On the special ocassion of World Disability Day on 3rd December 2016, WOW Foundation has trained Mr. Chandrasekhar, (a person with physical disability) in different online tools and placed him with ODC Certification Pvt. Ltd. Company to work for their online marketing promotions. 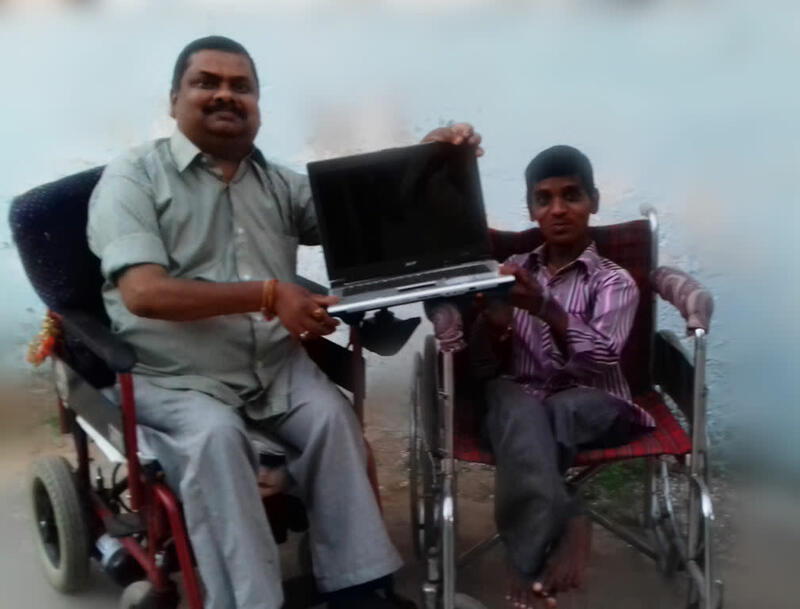 We also provided him with a laptop and Internet connection. See the happiness on his face. Would be great if supported by spreading the word among your friends and family too. As you all know, about our Give a Future Campaign. 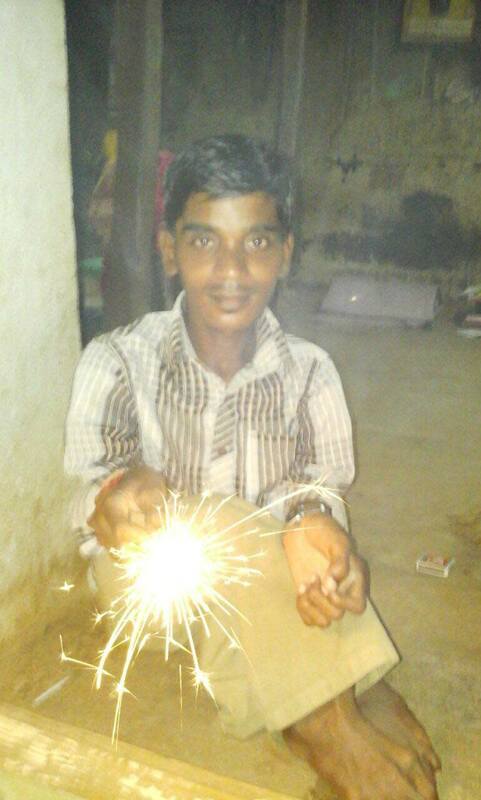 WOW Foundation is helping Chandrasekhar a Differently abled youngman and a Floor Walker in extreme poverty, Look he is celebrating Diwali happily, as we disbursed the total amount raised. We want this happines remain long lasting for him. We are aiming to Fulfill his dreams. Please help this smile remain. Donate any amount to raise the target fund soon. All The Best Chandra Sheker, Keep the spirits up. I really appreciate your will power to be independent and successful in life. I wish you all the best.